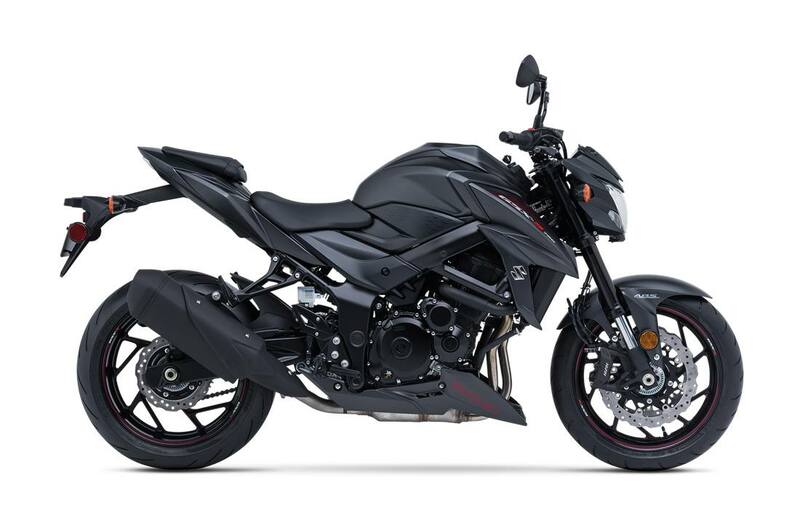 The new GSX-S750Z brings significant engine and chassis advancements to firmly establish itself as the second model in Suzuki’s innovative lineup of performance street machines. 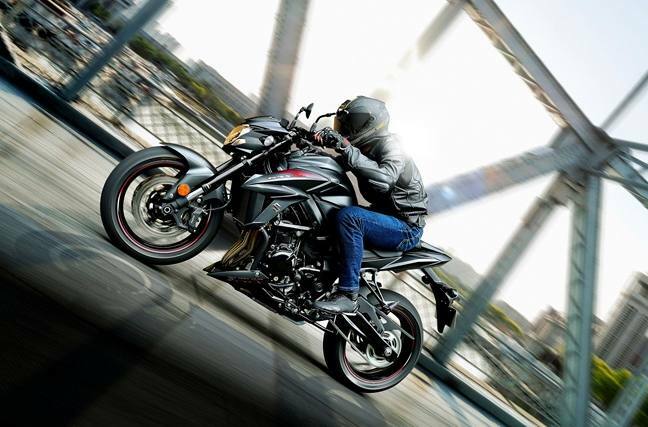 The GSX-S750Z features fresh, aggressive styling that encompasses the appearance of quality. 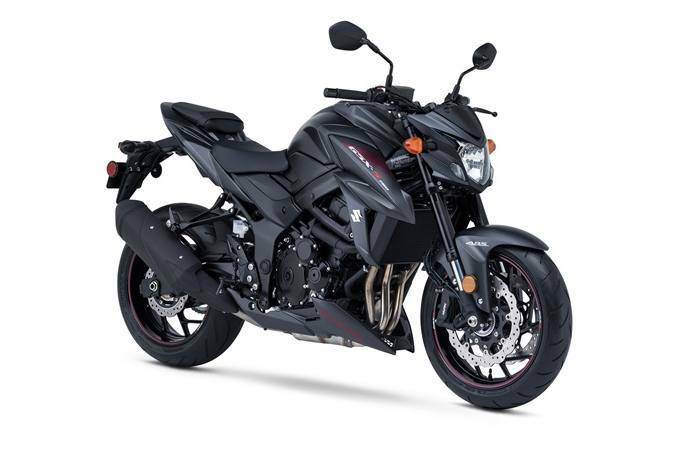 The unique chassis integrates the best qualities of a tubular girder streetbike frame and a twin-spar sportbike frame, and is fitted with KYB suspension to provide precise handling. 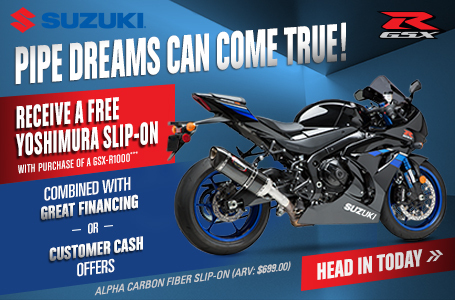 Suzuki’s advanced traction control system* lets the GSX-S750Z rider control the throttle with more confidence in various riding conditions. As a result, the rider can enjoy sport riding with less anxiety. There are four traction control modes (1, 2, 3, and OFF) that the rider can easily adjust at rest or on-the-fly via a handlebar-mounted control. The difference between the modes are their sensitivity to road conditions. OFF disengages all traction control features. *The Traction Control System is not a substitute for the rider’s throttle control. It cannot prevent loss of traction due to excessive speed when the rider enters a turn and/or applies the brakes. Neither can it prevent the front wheel from losing grip. Both the front and rear brakes can be modulated by a compact Anti-lock Brake System** (ABS) controller to match stopping force to the available traction. **Depending on road surface conditions, such as wet, loose, or uneven roads, braking distance for an ABS-equipped vehicle may be longer than for a vehicle not equipped with ABS. ABS cannot prevent wheel skidding caused by braking while cornering. Please drive carefully and do not overly rely on ABS. Inverted, gold-anodized KYB fork feature a spring preload-adjustable design which provides a solid foundation for the new, radial mount brake calipers.